The garden as of now. It's lonely out there. The garlic beds, all but one varitety have come up. I just planted 100 or so bulbils today as well. 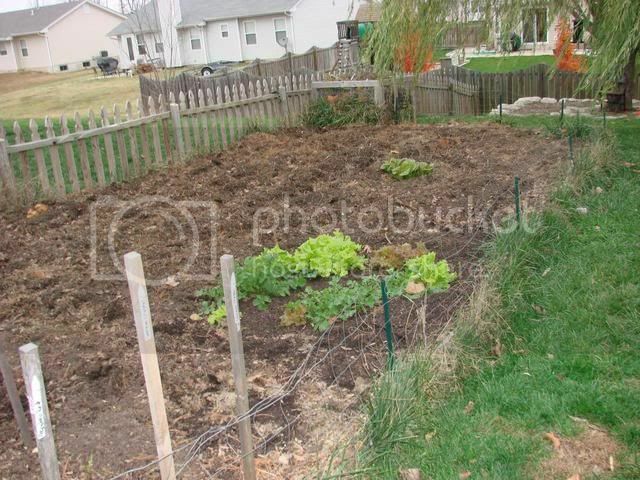 The rest of this garden with lettuce and spinach doing great even with the heavy frost and freezes we have had. If you need something easy to grow Swiss chard is super hardy. Here is some Brussels Sprouts that don't seem to going anywhere I must have planted too late. I just can't seem to grow it for some reason. Everything that is in the garden now will stay until the end. I actually want to see who the last standing is. It will be getting cold soon, than comes the snow. 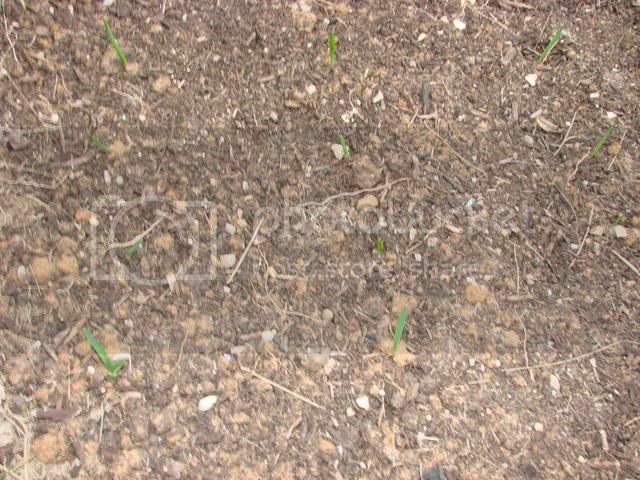 The bulbils are small so a 100 doens't go that far and i planted them close at whatever really. About an inch or so but there are just scattered in a row. 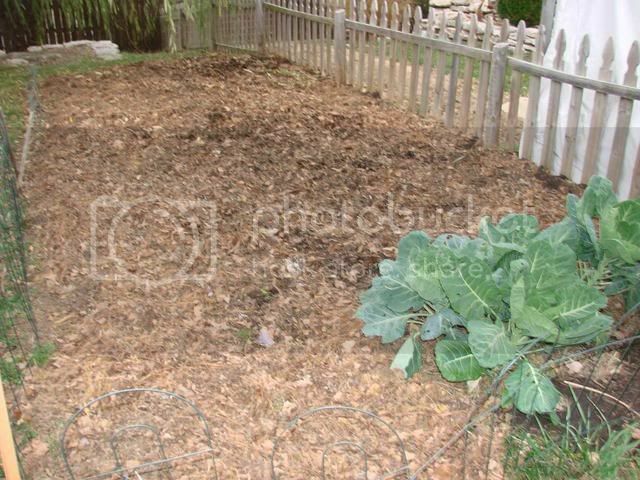 I'd hate to show what mine looks like right now ...though the kale is coming back since the earlier frost/freeze killed off the caterpillars. It still looks more green and alive than much of anything around here - great garden, as always! 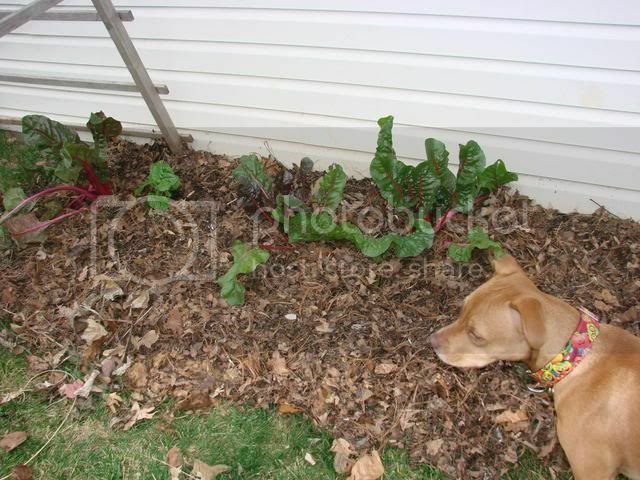 It does look a little lonely there, Dono... Good looking lettuce and chard, cool pup! When do you normally plant Swiss Chard? Do you start it in-doors, or directly into the ground? Don't know about gixx, but I direct seed my swiss chard in the ground the same time as spinach and lettuce -- "as soon as the soil can be worked." For me in my climate that's early to mid March. The lettuce and spinach bolt and are done as soon as it gets hot, but the swiss chard is still going strong. Love that stuff! Looks great compared to my field of white and 17 degrees. We just got another 6 inches of snow. Thanks for the tip, Rainbow! I love taste of it, but love the deep contrasty colors of it too. And cold hardy - just an added bonus! 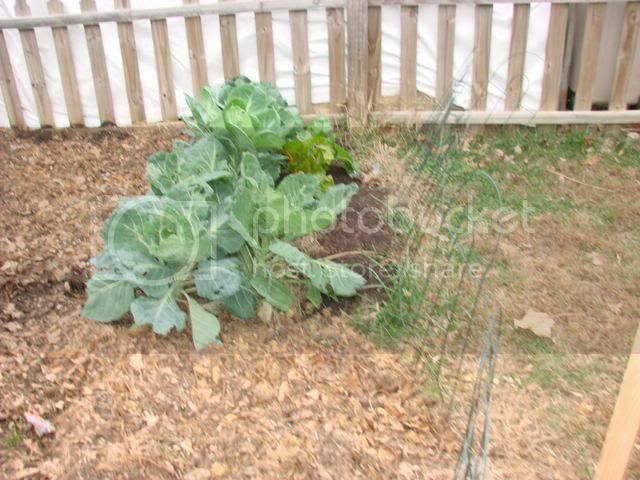 Things that can be started early in the spring include all the cole crops, that is cabbage, kohlrabi, brussel sprouts, turnip, cauliflower, kale etc. 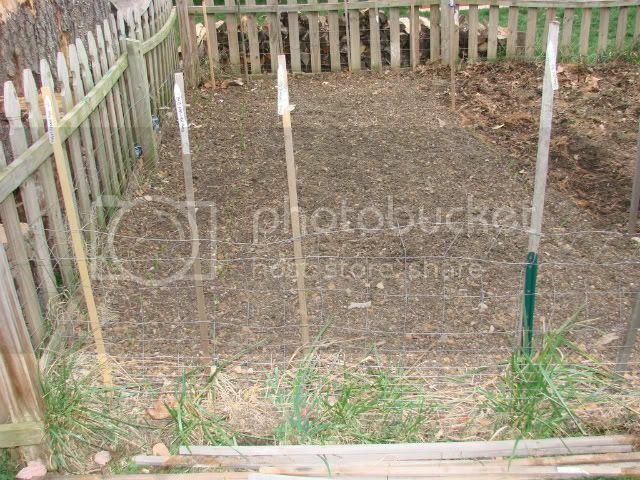 Also carrots, onions (both seed and sets), radish, mustard, chard, beets, arugula, lettuce and spinach. Gee, I am just thinking it is four months until I stand a chance of planting anything. Until then I will just grow icicles. Do you start anything indoors, jal? I'm less than two months until I start the first seeds indoors (but I'm in a real different climate). No. I buy nursery plants for the tomatoes and peppers. My wife is alergic to the smell of tomato plants so I don't grow them in the house. A green house would be fun, but can't justify the cost. Everything else I can start from seed sown directly where it will grow. Earwigs in compost and garden - are they harmful to garden? Remember a clean garden is a happy garden.